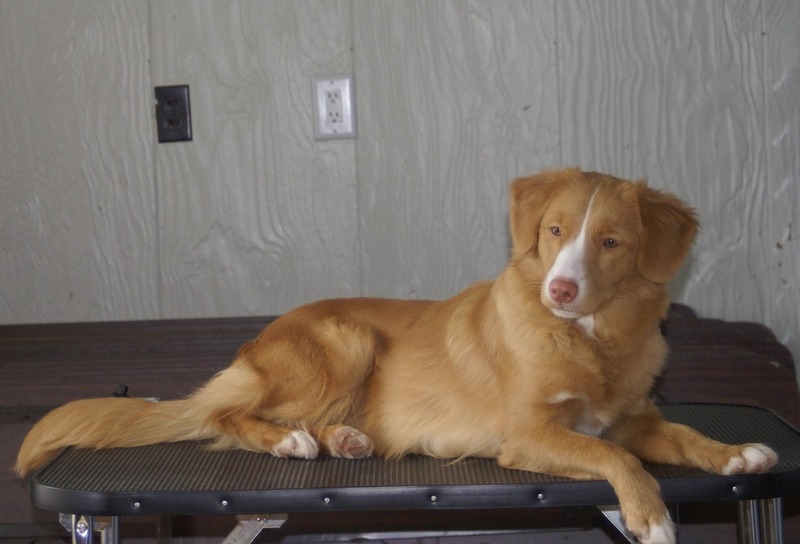 Token is a beautiful girl that comes to us from from Forest Cove Tollers in Oregon. 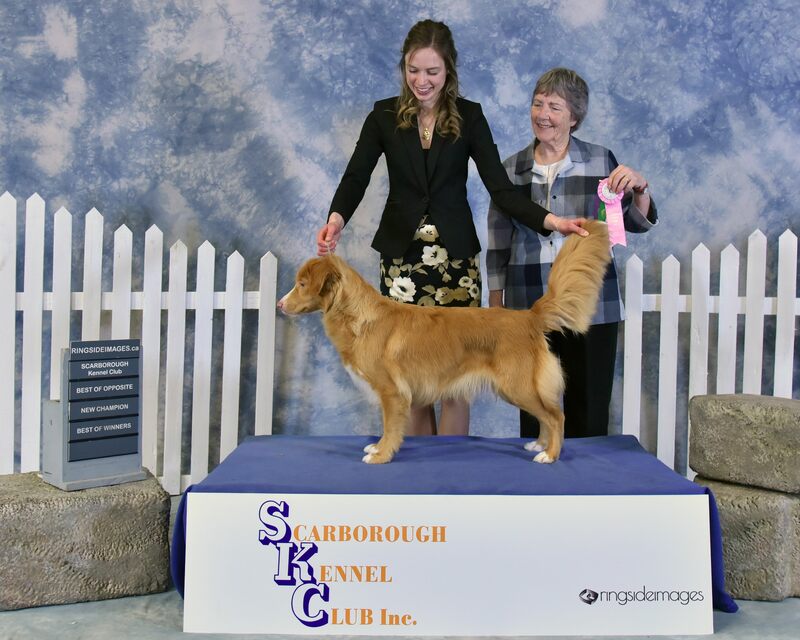 She is co-owned, and primarily lives with, Lillian Greensides, of Kylador Kennels. 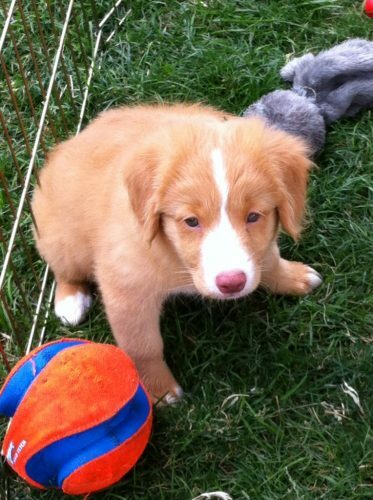 Token is a St. John Ambulance Therapy Dog. Token has produced two beautiful litters. We are very pleased with the puppies she has produced!